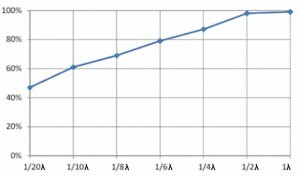 From the above chart, we can see antenna efficiency drops from 100% to 19% when the total antenna count increases from 1 antenna to 4 antennas and results in an additional 7 dB of gain loss. 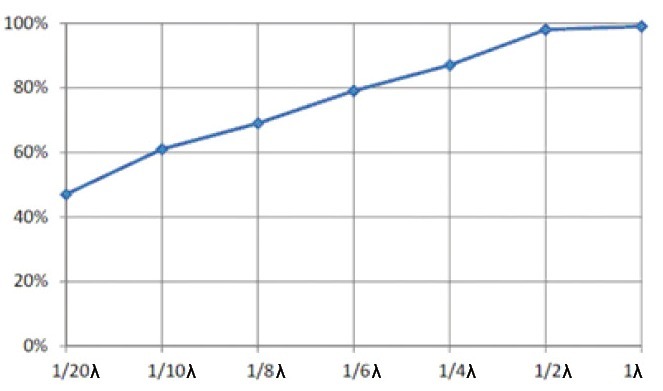 A 6 dB gain loss means the operating distance is shortened by half and a 7 dB loss means that the operating distance is shortened from 100 meters to 45 meters due to the additional installation of antennas. Hence, the proximity effect of multi-antenna installations greatly affects the receiving efficiency and should not be neglected. As shown in the above chart, if the interval between the antennas is more than 1/4λ, efficiency can reach more than 80%, and the interacting effect can be ameliorated. However, if the interval can be extended to 1/2λ, the efficiency can reach 90%. 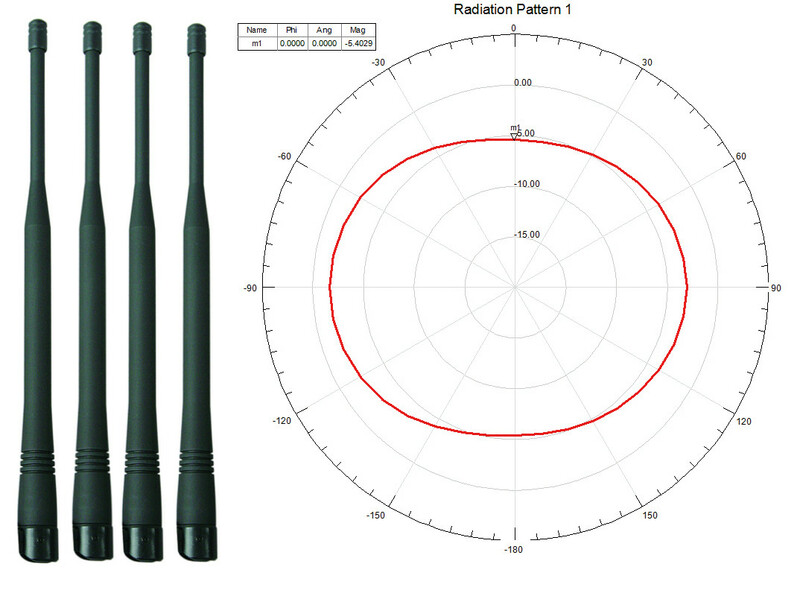 When installing antennas, the minimum interval between antennas varies. Please refer to the chart below for recommendations on the minimum interval between antennas under each frequency band. 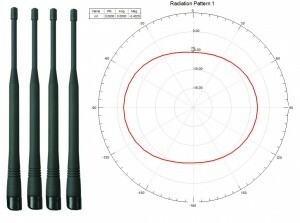 However, if an installation requires a mixture of various frequency bands, always refers to the minimum interval between antennas of the lowest frequency band.